Chinese electronics company Huawei just made bold claims at MWC when its chairman, Richard Yu, said the Ascend D Quad is the world's fastest phone. Naming another milestone, Huawei has announced plans for the first 10-inch tablet powered by a quad-core processor. Called the MediaPad10 FHD, the slate uses a similar 1.5GHz K3 CPU Huawei expects to place in the Ascend D Quad. Another alluring attribute you'll find in the MediaPad FHD is a 10-inch IPS LCD screen with a supersharp resolution of 1,920x1,200 pixels. Dolby Surround Sound audio processing will be onboard as well, along with an 8-megapixel main camera and 1.3-megapixel front-facing shooter. Of course I thought the first 10-inch quad-core tablet was the Asus Transformer Prime. Truth be told, that's a 10.1-inch quad-core tablet, so perhaps Huawei is really splitting hairs here. The tablet runs Android 4.0 Ice Cream Sandwich, too, and it will support 4G cellular data networks, either HSPA+ (21/42/84Mbps) or LTE. At 0.35 inch thick, the MediaPad10 FHD also appears to be just as svelte as its main Android rival, the Samsung Galaxy Tab 10.1. While Huawei hasn't announced pricing for the MediaPad10 FHD, it says the powerful slate will hit the market globally in Q2 of 2012. 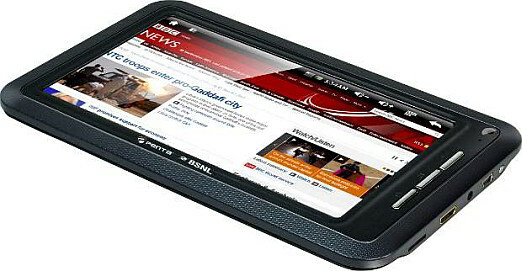 BSNL has announced it will be launching three Android tablets on March 1, with special data plans. Manufactured by Pantel, BSNL’s three tablets run on Android 2.3 Gingerbread, and aim to cater to both the low-end and mid-range segments of the markets, with prices ranging from Rs. 3,250 to Rs. 13,500. Pantel will also be looking to launch the tablets via MTNL in its markets. The budget tablet - BSNL Penta T PAD IS 701R - bears a 7-inch resistive touchscreen with a 800x480 pixel resolution, a 1GHz processor, 256MB of RAM, 2GB of built-in storage with microSD expandability up to 32GB, Wi-Fi connectivity with 3G Dongle support, a 0.3MP camera, an HDMI port, and a 3000 mAh battery. It will be interesting to see the competition between the Aakash and this device. 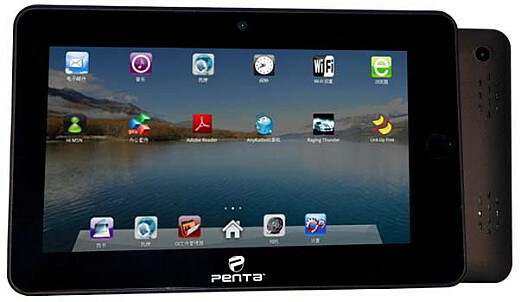 Next up, is the BSNL Penta TPAD WS704C, priced at RS. 10,999. It runs on 1GHz processor with 512MB of RAM. Other specs include a 7-inch capacitive 800x480 pixel touchscreen, Wi-Fi and 3G connectivity with SIM card slot, has 4GB of built-in storage expandable via microSD up to 32GB, a 2MP rear camera, a 0.3MP front camera, Bluetooth connectivity, A-GPS support, an HDMI port and 1080p HD playback support. 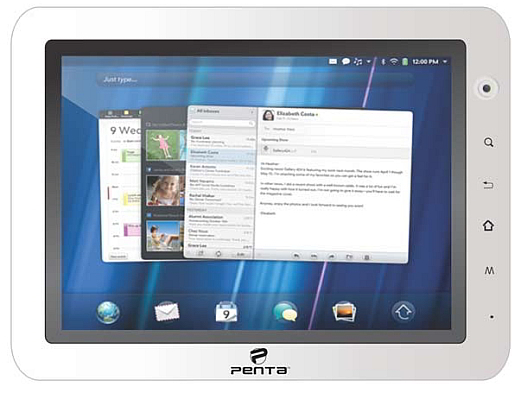 The leader of the pack, the BSNL Penta TPAD WS802C, will be priced at Rs. 13,500. 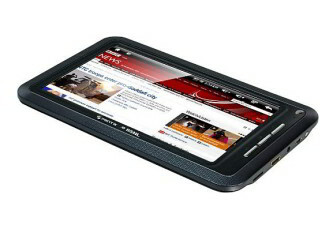 It will bear an 8-inch capacitive touchscreen, and run on a 1.2 GHz processor with 512MB of RAM. Other specs include 4GB of built-in storage with microSD expandability up to 32GB, a 2MP rear camera, a 0.3MP front camera, Bluetooth and A-GPS connectivity, as well as an HDMI port and support for 1080p HD playback. All three tablets will come with one year warranty. BSNL’s data plans for these tablets are 5GB of 3G data usage for Rs. 750, and 7.5GB of 2GB data usage for Rs. 250.